Equipped with Newland&rsquo;s third-generation decoder chip, the NLS-HR2260 can effortlessly capture high-density, high-volume and distorted barcodes printed on paper or displayed on screen. Blending ergonomics and aesthetics in its design, the NLS-HR2260 not only ensures operator comfort and productivity for intensive hand-held scanning but also meets the aesthetic needs of the O2O era. 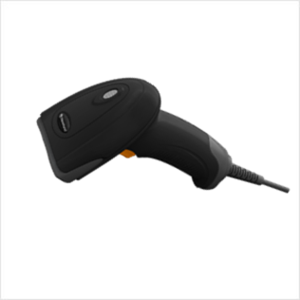 The NLS-HR2260 provides a cost-effective data capture solution that allows customers to enjoy the capabilities of 2D barcode scanner for the price of 1D scanner. The NLS-HR2260, built into an IP42-sealed and drop resistant (1.2m) housing with no moving parts, fortifies itself inside and out. Product traceability, purchase-sales-inventory management, ticket/voucher management, officeautomation.